‘life at the high place 4’, 2008li wei is a beijing artist who is well-known for his gravity defying photographs. most of wei’s work include himself in the image, typically in a surreal and impossible pose. 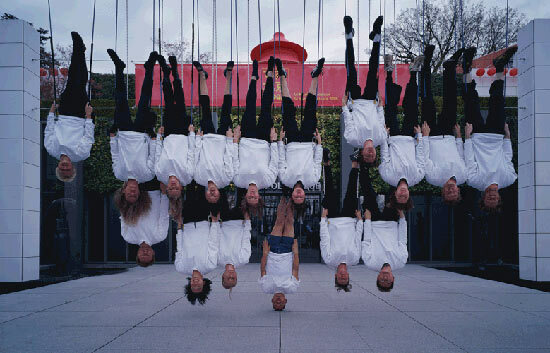 whether he is upside down or hanging off a building, his images often spark the viewers imagination. wei has completed a number of new works in 2008. his primary focus has been on the series ‘life at the high place’ and ‘love at 22m’ both of which feature wei hanging in the air. but what makes wei’s work more intriguing is that he doesn’t use any digital manipulation, all his unbelievable photos are made with the help of props such as mirror, metal wires and scaffolding.